In Store & Online: On this page you will see world market's latest coupons and specials. 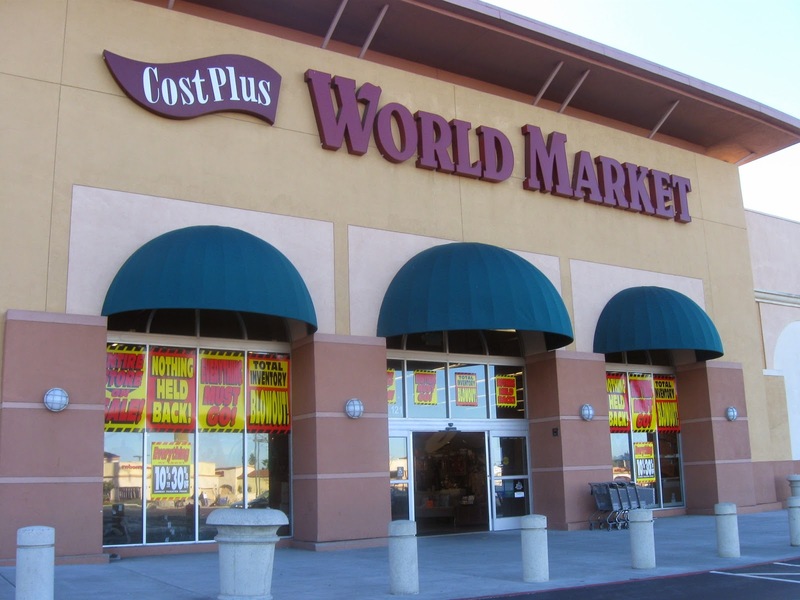 In Store & Online: Rare printable coupon for Cost Plus World Market stores. Extra 20% On ALL Outdoor Furniture, Umbrellas, Outdoor Rugs, Outdoor Pillows & Cushions & String Lights + Free Shipping On $150+ Online. Online Coupon: Enter world market coupon code: SAVENOW in their promo box at checkout. 15% Off $100, 20% Off $200, $25% Off $300 + FS. Exclusive Coupon. Save an extra 30% off almost everything (except food and beverages). Print coupon to redeem at World Market stores or use coupon code: FRIENDS at checkout online. Exclusive Printable Coupon: Print a 10% coupon instantly from worldmarket.com. Click on "get store coupon". Exclusive Coupon: Print this coupon and get 25% off furniture, and 10% off everything else in store. Save 15% off your next purchase when you sign up for world market explorer emails. Print a coupon from worldmarket.com to use in store for an additional 30% discount on everything. Print coupon instantly for World Market stores and save $50 every $250 you spend in store, excludes alcoholic beverages. World Market stores offer top quality furniture, eclectic home decor, unique gifts, food and wine at the best values anywhere. Use the coupons above to save on rugs, outdoor furniture, decor items, lighting, unique gifts and more.